Mr. Rahat Javed Qazi, former Headmaster Senior School passed away on 24th of December, 2017. Hundreds of people including his colleagues and students from across the country attended the funeral of the legendary teacher. Mr. Qazi joined the English Department of Lawrence College in 1970. 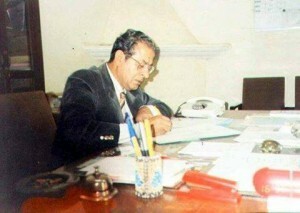 He served the College from 1970 to 1976 and again from 1982 to 2000. He served the College as a teacher, housemaster, headmaster and Director of Studies to the best of his abilities till his retirement. He was an outstanding and highly respected teacher who taught and groomed the students around him with love and faith. He always viewed LCGG as his home and had many fond memories for the College. He frequently visited GG until his health allowed him. Thousands of his students will always remember him as a great educator and mentor. Principal Lawrence College, faculty, staff and students express their deepest grief on the sad demise of this great educationalist. May Allah bless his soul in eternal peace and grant him the highest rank in Jannah. A delegation of six Gallians and four faculty members called on the Prime Minister Shahid Khaqan in prime minister’s office on 4th December, 2017. The purpose of the visit was an informal interview with the Prime Minister on his reminiscences of the past. The delegation took the Prime Minister in his teenage mode and questioned him on various aspects of his personality in that age and thereafter as a mature man. The delegation’s main focus was on Prime Minister’s aims in life and the struggle he made in realization of those aims. The Prime Minister very candidly shared his old memories with the delegation and responded to all the questions in detail, despite his hectic schedule. The delegation thanked the Prime Minister on his hospitality while enjoying refreshments. LCGG is more than just an education system. It is a place around which the life stories of many revolve as they spent the prime years of their lives in the College employing their honesty, hard work and dedication. LCGG always pays homage to the ones who have made legendary contributions to their call of duty by putting their heart and soul together. On 25th November, 2017, the College Hospital’s ward was named after Mr. Maula Baksh (Late) who served the hospital for 45 years as a dispenser. The naming ceremony was held in which his immediate family along with his widow, who also unveiled the plate, were the guests of honour. This moment brought tears into everybody’s eyes. His family recalled their unforgettable memories of the cherishable moments spent at the College. Mr. Baksh’s son Brig (Retd) Tanveer Akhtar, an old Gallian himself, continues to follow his late father’s footsteps and extends his voluntary services to his alma mater. He actively holds talks with the young Gallians and also conducts training sessions for the teaching faculty. On 24th of November, 2017, A Career Counseling Seminar was held by the career advisors of LCGG for the students of Intermediate and Senior Cambridge. The Seminar aimed at multiple aspects of career selection and various obstacles hindering the students while selecting their career goals. At the onset of the session, Mr. Amir Ali Asad elaborated, how to set the best possible career goals, the importance of self-engagement and the significance of self-motivation. Mr. Sajjad Satti took the discussion further to the difference between material and psychological outcomes of a profession. He then imparted detailed information regarding admission deadlines and Scholarships of various universities. Director of Studies, Madam Uzma Afzal graced the event and also participated in the question answer session and discussion with the students. It was overall a great informative and motivational session for the Gallians. Golden Lunch is one of the wonderful traditions of GG which is held in recognition of the achievements of students in examinations, sports and co-curricular activities. The lunch was held in the Senior School lawns on 22nd of November, 2017. It was attended by faculty and students of Senior School, Heads of the Schools, DoS and admin staff. The function started with recitation from the Holy Quran and translation by Abdul Aziz and Shehryar from Class VIII. After the recitation, Rizwan Haider, the head boy of the College, shared his views. He said that it was Lawrence College which groomed them in the best possible way. He appreciated the efforts of the teachers, Headmaster and Principal in shaping their personalities to become good citizens of Pakistan. After that, the Principal was invited to give away certificates and prizes to the students and faculty. The students were awarded certificates and prizes for distinction in different subjects, for position in the class and position in different co-curricular activities. Outstanding sportsmen were awarded with game colours in their respective fields. Teachers were also awarded certificates for certain achievements and participation in training programmes. In his speech, the Principal commended the efforts of the Vice Principal and HMSS Mr. M. Arshad Iqbal Ch. and the faculty of Senior School for producing excellent results in the Board examinations. However, the Principal expressed his concern regarding improvement in the speaking skills of the students and stressed upon the need of renewed commitment and efforts to polish the communication skills of the students. He also thanked the support staff for their untiring efforts for improvement in the College standards. The guests, students and faculty were served a sumptuous lunch at the end of the function. It is an old custom to celebrate Golden Lunch annually in LCGG. The ceremony was held on 16th of November, 2017 in the TV Room at Junior School. The event was celebrated with great enthusiasm like past years. The Principal Lawrence College, Brig (Retd) Mujahid Alam was the chief guest. After recitation and translation, the stage secretary, Aoun Shehryar called upon Zeeshan Khan to share his views. He shared his feelings and experiences. He appreciated the efforts of teachers and support staff in their grooming. He cherished the memories of their stay at JS and thanked everybody for their contribution. The certificates and prizes were awarded by the Principal to those young Gallians who performed well in curricular and co-curricular activities throughout the year. The medals and badges were awarded to the students who participated in IKSC. The faculty members of Junior School were also given away participation certificates for attending Teachers’ Training Workshop in February, March 2017. The Principal, in his address, appreciated the untiring efforts put by the Headmistress Junior School and her team, for elevating the standards of the young boys in academics and co-curricular activities. He appreciated the boys of Junior School for improving their speaking skills, confidence, discipline, hard work and significant improvement in their studies. He particularly advised the boys to respect their parents when they would go home in the coming winter vacation and pay full attention to their studies including completion of their homework. At the end, a lavish and splendid lunch was served to all the faculty members, students and guests. Golden Lunch, which is observed annually, is the peak of the year and gesture of honour, respect and farewell to outgoing class. The ceremony was held in Prep School Playing Field on 13th of November, 2017. The Principal Lawrence College, Brig (Retd), Mujahid Alam, graced the ceremony as chief guest. After recitation and translation , Stage Secretary, Fardeen Khan Niazi called upon Ali Zain for Golden Lunch speech. He shared that Golden Lunch is a rich tradition as well as a ‘Token of Respect’ by the Juniors for outgoing class-VII. The certificates, cash prizes and medals were given away by the Principal to those young Gallians who performed well in curricular and co-curricular activities. The faculty members of Prep School were given away the participation certificates for attending Teachers’ Training Workshop in Feb-Mar-2017. The Principal, in his address, commended the efforts, put by the Headmaster Preparatory School, Mr. Imtiaz Akhtar Ranjha along with his team, for lifting the standards of the young boys up in academic and co-academic activities. He appreciated the boys of Prep School for their positive approach towards life, good discipline, hard work and significant improvement in their studies and confidence level. He particularly advised the boys to pay respect to their parents when they would go home in the coming winter vacation and pay full attention to their studies including completion of their homework. After the sumptuous lunch, cash prizes were distributed among the Mess Staff by the Principal as ‘Token of Appreciation’ for their services and untiring efforts. The Senior School hosted a sumptuous Thanksgiving Lunch to recognize the tireless and most valuable services of the support-staff in the Senior School Mess on November 08, 2017. This golden tradition of Lawrence College was set by our worthy Principal four years back. The event was organized by the Intermediate Class under the guidance of the Vice Principal/Headmaster and the Housemasters. The lunch was held in the Senior School Hall. Present on the occasion, were the Senior School janitors, peons, gardeners, mess & dorm-bearers, sanitary staff, runners, drivers, security guards, and other on-call attendants. The worthy Principal brought rosy smiles to the worked-out faces of his guests by personally ensuring their comfort and happiness throughout the lunch. He had already directed the conveners to make apt arrangements for the attendees. The Gallians of Inter-18, including all the prefects, took pride in serving the support-staff with smiles and caring attitude; translating their worthy Principal’s sublime philosophy of humanism and goodwill into a sound reality. It was a unique enactment of the maxim ‘Love Begets Love’– which resultantly, begets respect that further cements bond between the served and the service-givers; bringing homely harmony to the institutional environment. For the support-staff, it was a very happy occasion; full of cheers, respect, and care that usually remains an unfulfilled dream of the under-privileged staff in any part of the world. They were served with fine quality cuisines, drinks and desserts. The Principal thanked the junior staff for their devoted services and expressed his hope that they would continue with the same spirit next year. The support staff also thanked the Principal for encouraging them in such a nice way and recognizing their services. Earlier on, in the morning assembly, Mr.Usman Ghane highlighted the purpose and importance of holding an event like the ‘thanks-giving lunch’ in the light of Quran and Sunnah. He advised the boys to understand the spirit behind this tradition and to carry this spirit with them throughout their lives by treating their subordinates in a dignified manner. Through this historic ceremony, the Principal also endeavoured to inculcate into the students, the worth of noble human and Islamic values that go hand in hand. Brushing aside sternly conventional administrative work-ways, the worthy Principal has always advocated and practiced a more embracing and natural administrative panache and aura, where education must not only remain a prerogative of the privileged class, but it must expand its wings also to accommodate, train and refine other people, working side by side with students and teachers at an educational institution. This is the true essence of education that the student community at Lawrence College will stash away as an asset to live a decent life. A Skype Session was held between the students of Beaconhouse School System, Sargodha and Preparatory School, Lawrence College, Murree, on 31st of October, 2017. Gallians of grade-VII took keen interest in this session and they conversed with their counterparts in a very professional way. They interacted and shared their activities about observing Dignity Week. This was the first formal session of its type under the kind supervision of Director of Studies. In the end, a question answer session was held and Gallians took part in that session actively. The Headmaster Prep School appreciated the style, delivery, matter and confidence of Gallians during the technology session and he further added that inter-school Skype sittings would help the boys to broaden their vision including a friendly approach towards use of technology which is the need of the day. LCGG premises echoed with the memories of the Gallians of Inter’75 who visited their alma mater on 28th October, 2017, on the invitation of the Prime Minister Mr. Shahid Khaqan Abasi, an alumnus himself. He, along with his 32 friends of Intermediate Class of 1975, was warmly welcomed by the Principal during the informal visit. An exquisite tea was hosted by the Principal amidst casual talks. The alumni spent quality time rekindling the refreshing flashbacks from college days and visited all the three schools. This bunch of friends, tied together in a bond, played a basketball match against the College Basketball Team. It was great to see these young and old Gallians, bound in love of their alma mater, playing together. Later, the group members met the boys in their respective houses and also particularly visited the dormitories where they had spent the golden time of their youth. After visiting their respective houses, the Prime minister and his friends had lunch with the faculty and Intermediate Class. The Principal, in his brief note on the occasion, welcomed them once again to GG and appreciated their spirit. The guests were presented souvenirs by the Principal at the end of an amazing day. The new Gymnasium has been constructed near Jamali Stadium with an aim to provide better exercise facilities to Gallians, Staff and families. The Principal, Brig (Retd) Mujahid Alam, who is always keen to bring all possible improvement in the infrastructure of the College, inaugurated the Gymnasium on 26th of October, 2017. The old exercise equipment has been renovated and some new exercise machines have been purchased for the Gymnasium. The spacious hall of the Gymnasium, with machines and mirrors on all the four sides presents an energizing scene to the visitors motivating them to take care of their health and physique. On this occasion, the Principal expressed his hope that the Gymnasium will play its role in physical fitness of the students and staff. He stressed the need of good physical and mental health. On 23rd of October, 2017, badge pinning ceremony of the prefects Prep School was held in the Academic Block. The headmaster Prep School graced the occasion as the chief guest. After recitation and translation of the Holy Quran, the headmaster was requested by the stage secretary to honour the prefects by pinning badges on their lapels. The young but charged up Gallians sent the message of their collective inner feelings and happiness to the prefects with a big round of clapping for each one of them. In the end, the headmaster, in his address, assured to extend his full support to the prefects in fulfilling their responsibilities. The Aitchison College sports contingent reached Ghora Gali in the evening of 19th of October to play the Annual Sports Fixture between the Senior School teams. The fixture was played from 20-22 October, 2017. After a tough competition, Aitchisonians won football and cricket, while Gallians won the fixtures by remaining victorious in basketball, hockey and athletics. The competitions started in the morning of 20th of October with athletics events including long jump, discus throw and 200 metres. Gallians outdid Aitchisonians in all the events. In athletics, the performance of Hamid Sandhu, Rizwan Haider, Kamran Khan, Shah Muhammad and Anees Shehryar was commendable. Performance of Mustafa Janjua from Aitchison College has also been outstanding. After athletics, there was Cricket which has always been a strong area of Aitchisonians. Gallians set a target of 116 runs. It was a soft target for Aitchisonians who met the target in just 15 overs. The basketball match was played in the morning of 20th of October. In the start, Aitchisonians did well and took the lead, but outstanding performance of Hamid Sandhu and spectacular three-pointers of Abdullah Faisal Dar turned the tables on Aitchisonians and the match ended in favour of LC with 52 to 37. The basketball match was followed by 800 metre and 4×100 metre relay races. Gallians won both the events. In 800 metres, Ayub Khan, Talha and Abdul Basit secured first three positions. In relay race, Hamid Sandhu, Shah Muhammad, Wassam Abbasi and Ali Nawaz brought LC to first position on the victory stand. The football match was played in the evening of 20th of October. Gallians played well, but Aithisonians played much better and won the match with the score being 2-0. To that point, the fixture was levelled and was going to be decided after the hockey match. At night, a formal dinner was served in honour of the Aitchisonians. Souvenirs were exchanged at the occasion. Principal Lawrence College, while addressing the gathering, said that the purpose of these traditional fixtures is to develop friendship and sportsman spirit. We play with Aitchisonians and not against them. He further added that Aitchisonians are always welcomed to Lawrence College and they should consider it as their second home. Hockey match was played in the morning of 22nd of October. Gallians remained dominant throughout the match. Asfeer Sohail scored two goals while Kamran Khan and Noman Randhawa scored one goal each. The Aitchisonians also played very enthusiastically but failed to score any goal, the final result being 4-0. We warmly congratulate our teams, coaches and staff for putting up such splendid display of sporting prowess. We also congratulate Aitchison College teams for putting up a very good display and giving our teams a tough time in all events. We also appreciate their sportsman spirit. Inter-school sport fixtures provide students with the opportunity to participate in a structured sport competition which is played between schools. Fixtures provide great health benefits and other sources like pleasure, sense of healthy competition, sportsman spirit and discipline including social interaction and establishing friendships. Mr. Asghar Ali Chaudhary, the Gamesmaster Prep School, along with his sports staff, organized the whole event of Annual Inter-School Sports Fixture which was held at Aitchison College , Lahore between Prep Schools of both the Colleges ( Lawrence College, Murree and Aitchison College, Lahore). On 19th of October, when the sun was winding its golden rays up, the sports contingent of Prep School, along with their chaperons, entered the Aitchison College and was warmly received by the hosts. On 21st October, a formal dinner was served in honour of the young Gallians. 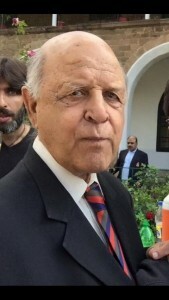 The Principal Aitchison College graced the ceremony as chief guest. Mr Muhammad Waqas, on behalf of the Principal Lawrence College, made a moving speech thanking the top as well as lower level administrative staff for such a caring, loving and professional honour they were given at Aitchison College. The Principal Aitchison College, in his address, highly appreciated the sportsman spirit of the Gallians as well as their grooming. He gave away the College Souvenir to chaperons. The Principal further added that these events gave both the Colleges the opportunity to develop friendship, share experiences, exchange views and strengthen bonds of friendship between them. Both the colts of Aitchison College as well as Lawrence College played well and the spectators watched quality matches and performances in the fixture. The fixture ended on 22nd of October with a hope of better ties between both sister-institutions in future. Hospitality is a tradition of Lawrence College. Visitors have always been warmly welcomed and are shown around the picturesque architectural heritage of the College, amidst refreshing greenery. An excursion trip of the APSAC Bagh was hosted on 14th October, 2017. The enthusiastic students, their teachers and ancillary staff appreciated the grandeur and spellbinding structure of buildings that speaks for the rich culture of the institution. They were captivated by the beautiful display of rare pictures of the nation’s founder, Muhammad Ali Jinnah, while visiting the Quaid’s Gallery in the Senior School Library. The guests were served with refreshments at the end of the visit. Our students have made us all proud yet again by showcasing a stellar result. This type of result is always the outcome of strenuous efforts by the students under the able guidance of teachers and envisioned patronage of the Principal. This year, 49 students appeared for HSSC part-I Examination 2017. 23 students passed their examination by securing A+ Grade, 16 students got A Grade while 9 students secured B Grade. M. Ubaid-ur-Rahman stood first by securing 91.35 percentage. Muhammad Abdullah remained second by obtaining 91.15 percentage while Abdul Wajid bagged third position by securing 90.96 percentage. Since 2014, old Gallians’ gathering has been institutionalized by the Principal LC and is held once a year. It not only gives the old students of this great institution a chance to recall their memories of the stay here, but it also gives the College administration a chance to have the views of the old students who always show great concern and interest in the College affairs. The Principal briefed the alumni about the progress and development at the College. After the Principal’s speech, the house was open for the old Gallians for their questions, suggestions and views. After that, Mr. Farooq Meyer thanked the Principal for facilitating OGAP Reunions and providing all the old Gallians a platform for their gathering. The meeting was followed by a basketball match between Gallians and old Gallians. After the match, the old Gallians were served with a sumptuous lunch. All Pakistan Inter-collegiate Bilingual declamation contest kicked off at Lawrence college on 7th Oct, 2017 with fiery speeches of best orators from all over Pakistan. Teams from different educational institutions including Aitchison College Lahore, PAF College Lower Topa, Army Burn Hall College Abbottabad, Abbottabad Public School, Military College Jehlum, Government College for Women Murree and Presentation Convent Murree visited Lawrence College. The purpose of this competition was to provide the students of participating schools and colleges a forum to express their novel ideas, gain recognition and confidence. It also provided the students and teachers of these institutions an opportunity to come closer, understand each other and learn from each others’ experiences. Principal Lawrence College Brig (R) Mujahid Alam was the Chief Guest on the occasion. Addressing the audience, the Chief Guest remarked that he was delighted to listen to the rhetorical speeches delivered by the talented young speakers .He stated that it was not an easy task to face a large number of audience and present ones ideas in a logical, coherent and convincing manner. He specially congratulated the position holders for showing outstanding performance. He felicitated Military College Jehlum team for being the overall winners. He appreciated the standard of declamation contest and thanked his dedicated team of teachers. In the end, the guests were offered a sumptuous lunch. Prime Minister Shahid Khaqan Abassi visited his alma mater Lawrence College Ghora Gali on Thursday, 5th October, 2017, in Jamali Stadium where Gallians from the three schools put up a splendid show and received great appreciation from the guests present over there. A number of dignitaries, Old Gallians and parents attended the function, March past and PT Display, were main features of the founders’ day proceedings. The Principal Brig (Retd) Mujahid Alam presented the Annual Report of the College. He expressed his heartfelt gratitude to the Prime Minister for gracing the occasion which was a great encouragement for young Gallians that the sitting Prime Minister of Pakistan is also a Gallian. Chief Guest addressed the ceremony and reminisced about his youth days he spent in the College as a student. “Forty two years ago I was present here as you are standing in this ground today and it was the golden period of my life”, said Mr. Abbasi. He added, “The institution is one of the finest in the country and has produced numerous prominent personalities and politicians.” He also commended the efforts of the College management, faculty and Gallians for their excellent performance in all spheres of life and expressed satisfaction over the way Lawrence College is rapidly growing into a greater seat of learning. Prior to this function, the Annual Performing Arts Show continued for two days in which a variety show, including English and Urdu plays, was staged. Students of the three schools also put in a lot of efforts for different science and fine art projects for arts and science exhibitions. The guests were served with refreshments at the end of the function. Lawrence College has a diversified and rich history with deep rooted traditions that all Gallians take pride in. Annual performing arts show is one of the mega events held on 3rd and 4th October 2017 to enable the students to execute their talents on stage before a prestigious audience. The first show on third of October was attended by families of admin staff and the final show was attended by distinguished guests including parents of the participant. The guests were served refreshments during both the shows. This year Mr.Aqsi Mufti, Director Lok Virsa was the chief guest of the event. He witnessed the superb performance of avocational Gallians who absorbed the audience, faculty and the worthy guests with their witty remarks, versatile acting and melodious singing. At the end, the Chief Guest appreciated the talented Gallians for their outstanding performance and also highlighted the significance of these activities to nurture the students’s skills for their practical life ahead. Lawrence College is known for its rich history and traditions; it carries since more than one and a half century. The institution has always taken Pride in its alumni, and teachers who had been associated with it for several years. Ansar Ali Syed is one of those shining stars who served Lawrence College for 35 years, from 1961 to 1996, as an educationist and contributed immensely to this prestigious institution .The College honored his services on 20th September, 2017 and he was invited to inaugurate the newly constructed residential block named after him. After inauguration ceremony, presence of the Principal, along with the faculty, at the lunch, served in the honour of the chief guest, turned it into a grand occasion. Syed Ansar Ali expressed his gratitude for the honour given to him and stressed upon the need of inculcating the values of hard work, honesty, respect and dignity among ourselves and in the young Gallians. The Principal thanked Syed Ansar Ali for gracing the occasion and commended his lifelong services and commitment for LCGG. A delegation comprising the faculty and students of City University of Science and Information Technology Peshawar visited Lawrence College on 20th September, 2017. They were received by the Admin Officer Maj (Retd).Ayaz and briefed about different areas of the College. The contingent had a pleasant meeting with the Principal Brig (Retd) Mujahid Alam and Vice Principal Mr. M. Arshad Iqbal Chaudhry who shared with them the rich history and traditions of the College. They had a tour of the campus and appreciated the captivating purpose built campus with its state of the art, educational and sports facilities. They visited the classrooms and observed the interactive teaching/learning process being conducted. They were served a scrumptious tea. They all praised the great hospitality of the Principal, staff and friendly Gallians. They surely departed with some unforgettable life long memories. Lawrence College, under the patronage of the Principal, made a historic move by holding the first ever MUN (Model United Nations) at its campus from 15th to 17th of September, 2017. The Lawrence College Model United Nations was a three day conference, aimed at emulating the environment to educate participants about current events, topics in international relations , diplomacy and the United Nations’ agendas. The three day debating event started with a colourful opening ceremony, in the morning of 15th of September, which introduced the directorate and secretariat for the event. This was followed by speeches by the Secretary General Makhdoom Danial of Class XII and the Principal Lawrence College. The whole event was organized in an excellent manner by the committee of students very ably, helped and guided by the committee of faculty. Debates in the different committees of the MUN started in the morning of 16th of September and continued in four long sessions which concluded in the evening of 17th of September. All the outstation delegates and Gallians actively participated in all the three committees including UNSC (United Nations Security Council), SOCHUM (Social, Cultural and Humanitarian Committee) and PNA (Pakistan National Assembly). The participants discussed various issues very enthusiastically and the chairpersons conducted the debates with such commitment that no body lost interest in the debates for a single moment. After immense hard work and enthusiasm shown on behalf of the participating delegates on the third day, they enjoyed a much needed respite from the intense debating sessions with a variety of different activities. These included hiking and a concert by Mustafa Zahid which was thoroughly enjoyed by delegates, faculty, families and the students. The event wrapped up in the evening of 17th of September, with a stupendous closing ceremony presided over by an illustrious old Gallian Mr. Anis Khan Satti. Special guest on the occasion was Mr. Arshad Abbassi who secured eleventh position in the CSS examination despite being visually impaired and is serving in the Foreign Office. He is currently proceeding on a foreign posting to Pretoria, South Africa as third secretary .He praised the MUN event organized by the Lawrence College and appreciated the Principal’s vision of promoting co-curricular activities. On the occasion Principal Lawrence College, in his speech, commended the interest and devotion with which delegates had participated in MUN. He thanked all the chairpersons who conducted different committees and judged the performance of the delegates in an efficient manner. He also appreciated the efforts of the team of faculty and students involved in the organization of the MUN. After Principal’s address, the participants were awarded certificates and shields in recognition of their remarkable performance in the MUN. The Chief Guest, Mr. Anis Khan Satti, in his address, appreciated the efforts of Principal and Vice Principal for the overall uplift of the College, especially academics. He expressed his great pleasure that Gallians were now producing excellent results in Board examinations. He congratulated all those who distinguished themselves with various awards. All the participants were served a sumptuous farewell dinner in the evening of 17th of September. It was followed by a documentary of the event and movie in Hamid Hall. In the end, we acknowledge the fact that without continuous support of the Vice Principal, M. Arshad Iqbal Chaudhry and College administration, the functioning of the LCMUN would not have been so smooth. On 12th of September, a magnificent funfair was arranged in the Prep School playing field. All the three Schools actively took part in the funfair. This was the first experience for Lawrence College to hold a mega event like funfair. The funfair opened new shades of life to the faculty and Gallians. The venue was decorated with colourful banners, splashed with eye-catching advertisements, under the supervision of Maj (Retd) Shafqat Mahmood. All the schools had set up different stalls. Science, palmistry, archery stall including jumping spring were set up by Senior School. Games stall, monkey show, Pakistan culture and food stalls were arranged by Prep School. Junior School was given the task to arrange Jumping castle, cake parade, talent show and photography. Students of three Schools, staff and families visited the funfair and enjoyed a lot at food, games and other stalls. The students visited different stall in groups and enjoyed the hustle and bustle of the fair. From the food stalls, they ate different things to their fill. They enjoyed parade cake a lot. Most of the young Gallians went for games. Rush of the boys was observed at palmistry stall and all were curious to know about their future. They also sang songs and gripped the audience. The Special Olympics team also visited the funfair and took pleasure out of different activities. Resolute will and eternal optimism of the Principal LCGG, Brig (Retd) Mujahid Alam, added yet another fine plume to the cap of Lawrence College. We feel immense pleasure in sharing this year’s Intermediate Part-II result, which is again remarkable and better than ever. The result is the outcome of untiring efforts and round the clock interest of the Vice Principal and Headmaster Senior School, M. Arshad Iqbal Chaudhry. Continuous guidance and supervision of the teachers also played the pivotal role in bringing such extraordinary improvement as they never relaxed in expending efforts to raise the benchmarks which are synonymous with the College motto ‘Never Give In’. This year, 58 students appeared for HSSC Part-II Examination 2017. 26 students passed their examination by securing A+ Grade, 17 students got A Grade while 15 students secured B Grade. Syed Hassan Mohyuddin Gilani stood first by securing 1024/1100 marks with a percentage of 93.09, which is the highest percentage ever achieved by any student of LC. Ehsan-ul-Haq remained second by obtaining 1004/1100 marks while Zibrak Hasees Janjua Khan secured third position by securing 999/1100 marks. We present our heartiest congratulations to the high achievers and their proud parents. We wish them the very best of luck for their future endeavours. Annual Sports Day of Government Special Education Centre Murree was held at Lawrence College on 9th of September, 2017. The administration of the institute requested Principal Lawrence College for provision of Stadium and other facilities to hold the function which he, very willingly, agreed to. Lawrence College provided certain facilities to the students of Special Education Centre for this event including provision of playground, seating arrangement, sound system, security, sports staff and refreshments. The students of Special Education Centre exhibited great enthusiasm and energy in different sports activities and proved that they had the courage to excel in life despite being physically impaired. The students of Lawrence College also witnessed the performance of special children and were highly impressed by the zeal and zest shown by them. Principal Lawrence College was the chief guest on the occasion who gave away prizes to the participants. 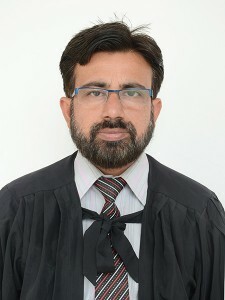 In his address, on the occasion, the Principal appreciated the efforts and standard of sports activities of special children and announced the provision of playground and other administrative facilities of Lawrence College for the students of Special Education Centre Murree, whenever they require in future. Officials of Special Education Centre Murree, highly commended the cooperation and assistance rendered by the Principal of Lawrence College. 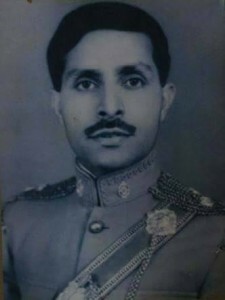 Major General Azhar Abbas, GOC 12 Div. and Chairman Executive Committee, visited Lawrence College Ghora Gali, on 8th of September, 2017. The Principal welcomed him in his office and briefed him on the infrastructure and systems of the College whereupon he was taken on a visit to the three schools. He observed, with keen interest, the facilities of all three schools including Science Block, Hamid Hall, libraries, science laboratories, Language Lab and Computer Laboratories. It was the second visit of the GOC to LCGG. The interest shown by him in the College affairs is highly encouraging for the faculty and administrative staff. We look forward to his frequent visits which would surely be beneficial for the institution. The motivational guidance of the Principal, Brig (Retd) Mujahid Alam, to the students has finally brought the best ever result in SSC Part-I Examination. The Vice Principal and Headmaster Senior School, M. Arshad Iqbal Chaudhry, inculcated a sense of managerial and parental role among the teachers of Senior School which, in turn, aroused in them a sheer desire of producing outstanding results just as they desire for their own sons. This round the clock interest by the Principal, untiring efforts of the Vice Principal, burning midnight oil by the teachers and hard work of students, culminated in A+ Grades except three A Grades. This year, 43 students appeared for SSC Part-I Examination 2017. 40 students passed their examination by securing A+ Grade while 3 students scored A Grade. Ahmed Sohail stood first by securing 498/505 marks with a percentage of 98.61, which is the highest percentage ever achieved by any student of LC. Shahzad Ahmad remained second by obtaining 485/505 marks while Musawwar Khan secured third position by securing 481/505 marks. Pakistan Quiz shield was shared between St Denys High School Murree and Army Public School Cliffdon Camp Murree. Mrs. Farwa Batool & Ms. Samia Ishaq were the in charge of the event. The occasion was indeed a gratification. Independence Day is celebrated every year at Lawrence College with great verve and enthusiasm. This year too, all the students were eager to participate in the Independence Day celebrations. They started decorating their dorms and houses passionately with flags, buntings and lights in the evening of 13th August. The Chief Guest of the Independence Day celebrations was Principal Lawrence College Brig (Retd) Mujahid Alam. The celebrations started with combined assembly in the Senior School lawn. National flag was hoisted, na’ra-e-Pakistan was raised and dua was offered for the progress and prosperity of Pakistan. After the flag hoisting in the lawn, the students and staff moved to Hamid Hall where the main function was held. The function started with recitation from the Holy Quran by Abdul Aziz of Class VIII and its translation by Sharjeel khan of Class VIII. After the recitation, Mian Mazhar Shah of Class I from Junior School, Abdul Rahim Goraya of Class7 from Prep School and Raja Sameer Ahmad of Class10 from Senior School highlighted the sacrifices and struggle of our forefathers in creation of Pakistan. The Junior School students presented a tableau about Pakistan Movement. A milli naghama was presented by Junior and Prep School students. Prep school presented a short performance with the title ‘Tehreek e Pakistan’. A documentary showing the sacrifices of Indian Muslims was shown by the Senior School. The chief guest highlighted the great contribution of Muslim leaders in creation of a separate homeland for Muslims. The Principal led the audience in a spiritual renewal of pledge for loyalty, commitment, patriotism and dedication to Pakistan. He also stressed upon the need of deriving lessons from historical Pakistan Movement. He said that we need to root out prejudices, extremism and sectarianism, so that we can build an inclusive, tolerant and moderate society. The function concluded with national anthem. According to Marcus Tullius Cicero, “If you have a garden and a library, you have everything, you need.” Keeping this spirit in mind, Principal Lawrence College, Brig (Retd) Mujahid Alam, since his arrival four years back, has taken the improvement in the libraries of three schools and beautification of the College as a priority. The Horticulture Department of the College has been made very active regarding beautification of the College premises. On his special instructions, Lawrence College Horticulture Department and Ladies Club participated in the Mid-Summer Flower Show organized by the National Horticulture Authority at PC Bhurban, Murree on 6th of August, 2017. Eight organizations participated in the show. People of all age groups came in large number to see the nature`s beauty. Lawrence College participated in all the six categories, besides individual participation. All the visitors and members of the Jury appreciated the beautiful display of a huge variety of flowers, by the Horticulture Department and Ladies Club of LC, with an eye catching arrangement. The College was awarded first position in gardening. However, overall we stood third. Mr. Muhammad Pervaiz Rathore, Chairman PM Inspection Team, was the Chief Guest who distributed prizes among the winning teams and individuals. A book festival is like a feast of books. Panoramic view of hundreds of books is always a wonderful experience; one can easily choose one’s pick from the variety. Books are our friends in the real sense. They demand nothing from us, but give us plenty of joy. They increase our knowledge, tone up our intellect, make our outlook broad and inspire us to work hard with an optimistic approach and a positive mind. Here at Lawrence College, we encourage our students to read more and more. The Principal, as a true book lover, not only urges the students and teachers to read books other than academics, but has made every effort to improve the condition of all three libraries and to add a large number of good books. Students and teachers are also encouraged to recommend any good book for the library. Lawrence College organized the annual book festival on 3rd August, 2017 to give access to a great variety of books. The Principal formally inaugurated the Event. The Festival hosted prominent book companies and national level organizations including National Book Foundation, Pakistan Academy of Letters, Paramount Books, Islah Books. Bookfield International, Porub Academy, Creative Books and many others. A wide range of famous books were made available for every level and age group. The Festival attracted the Gallians from three schools who bought hundreds of books of their interest. The faculty, administration staff and families visited the Book Festival and bought the books of their choice from the genres available. The Festival was also attended by students from Military College Murree and Army Public School Cliffden Camp Murree. The whole set up was to develop a love of books and flair of reading among the Gallians which, hopefully, would remain a lifelong habit with them. A special assembly was held in the Senior School on 2nd August, 2017 to honour and appreciate the high achievers in SSC Part-II Examination, 2017. Principal Lawrence College was the Chief Guest on the occasion. He shook hands with the high achievers and the teachers of SSC Class. Fifty three high achievers in academics, who got A+ grade, were awarded ‘Principal’s Honour Badges’. Top ten students were awarded cash prizes while top three students were awarded gold medals under Raja Zahur Khan Academic Excellence Award. Asfeer Sohail Khan and Osaja Hassan Zaidi have been awarded full scholarship on showing excellent performance in SSC Part-II Examination. The Principal, in his speech on the occasion, highly commended the hard work of the students who had scored high grades with their dedication and honest genuine efforts. He also appreciated the sincere efforts of the Vice Principal/Headmaster Senior School M Arshad Iqbal Ch., Deputy Headmaster Mr. M. Ishaque Khan, housemasters and teachers who remain busy with the boys 24/7 and without whose devotion this success would not have been possible. 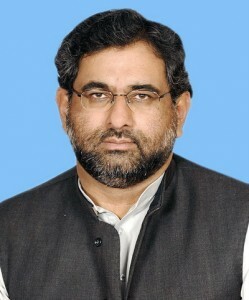 Mr. Shahid Khaqan Abbasi, ex-Federal Minister for Petroleum and Natural Resources, has sworn in as the new Prime Minister of Pakistan on 1st August, 2017. The Lawrence College administration takes pride in uploading this news on College website as Mr. Shahid Khaqan Abbasi is an old Gallian. Mr. Abbasi was elected MNA for the first time in 1988 after the tragic demise of his father Mr. Khaqan Abbasi and since then he is widely respected and relishes acceptability across political spectrum because of his amiable nature and sound character. The LCGG administration, headed by the Principal Brig. (Retd) Mujahid Alam, and all the faculty members wish him godspeed in his future ventures as Prime Minister of Pakistan. May our beloved homeland further prosper in his command! It’s a matter of great satisfaction for all those associated with GG that the Institution has started enjoying the fruits of Principal’s policies and vision defined four years back at his arrival at the College. The SSC Part-II result is one of those glories and has been a matter of great pleasure and joy for everyone.. The achievement of this outstanding result was made possible through hard work of the students and untiring efforts of the staff of Senior School. The most remarkable feature of the result is that it was achieved without resorting to any unfair means, following the policy of zero tolerance for cheating set by the Principal. The students will remain proud of their achievement that is the result of their genuine efforts. This year, 46 students appeared for SSC Part-II examination. 39 students passed their exam by securing A+ Grade while 7 students scored A Grade. Aimal Khan stood first by scoring 1052/1100 marks, Asfeer Sohail remained second by scoring 1046/1100 marks while Hassan Naveed and Osaja Hassan Zaidi secured third position by scoring 1044/1100 marks. Senior School left for Swat Valley on a five days’ trip on 20th of July. Special thing about this trip was that all the four houses headed for the same destination, so nobody was going to miss his friends in other houses. The contingent left the College gate in the afternoon and after a tiresome journey of nine hours, reached Fizza Ghat at about 12 midnight. After having dinner everybody hurried to go to bed as the next day they had to visit Malam Jabba. In the morning of 21st of July, the luggage was loaded on the coasters and the vehicles moved to Malam Jabba Resort. It took around four hours to reach there. The students and teachers had a good hike there, enjoying the natural beauty of the resort. Some of the students had ride on the chairlift. At about four in the afternoon, after enjoying packed lunch, the group left for Kalam via Fizza Ghat. After a long travel of eight hours, they reached Kalam. 22nd of July was the day for visit of Mahodand and Saifullah lakes. It was a three hours drive from Kalam in jeeps and the group stopped at a number of attractions on the way including glaciers, waterfalls, etc. The scenes around Mahodand and Saifullah lakes were captivating. Boys enjoyed boating in the Saifullah Lake and did a lot of photography in the picturesque green surroundings. The next day, 23rd of July was the most adventurous part of the five days trip. Again jeeps had been hired for Kandol Valley. After a journey of two hours, the group reached the base camp for Kandol Lake. The jeeps were parked there and the students and teachers of the four houses made their way to Kandol Lake. It was a test of nerves as well as muscles. It took the group more than three hours to reach the lake. It was a trekking full of adventure as everybody had to cross some stream or glacier on the way to reach the lake. The hiking was tiresome, but the mesmerizing beauty of the lake made the boys forget everything. After a lot of photography, the group started its journey downhill, which was again full of pleasures. In the morning of 24th of July, the contingent started back home. On the way back, Gallians stopped at their favourite point, Centaurus in Islamabad,, for one hour. After a long journey of fifteen hours, the group reached the College at about one O’ clock. The trip was extremely beneficial for everyone as it not only gave them a chance to relax and enjoy, but provided them an opportunity to explore Swat Valley and visit a number of attractive places which they had never seen before. Gallians of Prep School headed for an excursion to Naran after Sports Day on 20th of July, 2017. The boys were anxiously waiting for the day. On 20th the young tourists reached Alpine Hotel, Abbottobad and enjoyed their dinner and night stay. In the morning, after breakfast, the caravan set off for Balakot when it was drizzling. The boys visited the shrine of Syed Ahmed Shaheed and Shah Ismail Shaheed on 21st in Balakot and after enjoying lunch, proceeded for Naran on curvy roads, enjoying the beauties of nature around them. The convoy of eight coaches reached Naran after Maghrib where Millennium Inn Hotel management offered them a pleasant stay. At night, the boys intermingled with crowd in Naran Bazaar. They also purchased gifts for their dear ones. On the second last day of this four-day excursion, the boys went to Lake Saif-ul-Maluk in jeeps on a highly challenging and partially constructed road. They were fascinated by the enchanting lake which is surrounded by high peaks. There, the boys captured shots and selfies. The last day of excursion was return journey to college. On their way back, the boys enjoyed a sumptuous lunch at Green Valley Restaurant, Mansehra. After the sports day function, junior school decided to plan a trip. We went to Rawalpindi for excursion trip to spend some leisure time on 22nd July,2017. We left school at 9:30 sharp. During the journey, children had recreation time together with their friends. The boys were eager to reach Arena and after two-hour journey, we reached Arena at 11:30. We watched the movie Despicable Me 2. It was a 3D movie and worth watching, having some light hearted fun. The children adored the Minions. After the movie they had their favorite meal (Zinger burger, fries, fried chicken and cold drinks). The boys relaxed and also enjoyed their lunch. After having lunch, we moved to Fun city Giga mall. The children took rides and swings and played video games. After spending marvelous time, children took group photo with the team of Fun city and their teachers. The children also got Happy meal by Fun city. At 7 p.m. all the students and teachers boarded in their buses and returned back to school at 9 p.m. It was a fantabulous trip and the children have delightful memories to share with others. The Annual Sports Day was held in the true spirit of sportsmanship on July 20, 2017, wherein students enthusiastically participated in different events. The function was attended by parents of the students and other guests from different walks of life. Mr. Usman Ali Isani (former Chief Secretary N.W.F.P, Principal Secretary to Prime Minister, Chairman University Grants Commission and Vice Chancellor for Quaid-e-Azam University) graced the occasion as the chief guest. Young athletes of the three schools put up a spectacular show in athletics, gymnastics, martial arts and archery. They received a big round of applause from the spectators. After the athletics competition, the chief guest, accompanied by the Principal, gave away the prizes. Wightwick House won Raza Shah Shaheed Trophy for the best house in athletics while Walker House won the Marching Cup. Hamid Shamshad Sandhu was declared the best athlete. The Principal, in his address on the occasion, thanked the chief guest, parents and other guests for sparing time to attend the function. He told the parents that their sons were in safe hands. He said that co-curricular activities have always remained a major segment of the wholesome grooming of the young Gallians at Lawrence College The Principal and faculty are doing their best to groom the students in a way that they have balanced personality and excel in all fields including academics, co-curricular activities and sports. He acknowledged the commendable role of the Chairman and members of the Board of Governors who are extending all out support in the smooth functioning of the College. He also acknowledged the commendable role of the Chairman of Executive Committee, Major General Azhar Abbas, who is extending all out support in the smooth functioning of the College. In the end, the Principal, once again, thanked the chief guest and parents for gracing the occasion. The Chief Guest, in his address, thanked the Principal, staff and students for inviting him as the chief guest. He appreciated the excellent performance of Gallians. He congratulated Wightwick House for winning the coveted Athletics Cup for the year 2017 and Walker House for winning the Marching Cup 2017. He commended the efforts of the Principal and his team for showing continuous improvement in the overall standards of the College. The ceremony culminated with National Anthem. All the guests were served with refreshments after the function. A special assembly was organized on July 08, 2017, at Senior School to pay tribute to great Abdul Sattar Edhi. Edhi was not only a great lover of humanity who spent his whole life in serving the distressed and deserving, but was a strong proponent of religious tolerance in Pakistan. The Assembly started with recitation from the Holy Quran by Hafiz Haris Waseem. Mehran Shahid from Class VIII threw light upon the life and services of Abdul Sattar Edhi. After that Mr Basharat Hussain, HoD Pakistan Studies, highlighted some of the aspects of Edhi’s life. The assembly ended with National Anthem. The Gallians of Prep School observed Edhi Day on 8th of July in the morning assembly. The speakers threw light on the different aspects of his personality and phases of his life. They paid homage to the great man. They pledged to continue his mission of serving the humanity. The Headmaster Prep School, Mr Imtiaz Akhtar Ranjha appreciated the matter, delivery and confidence of the speakers. He advised the students to play their positive role in society by following the footprints of Abdul Sattar Edhi. The Physics Department arranged a lecture on GIS (Geographical Information System for the Intermediate Class. The lecture was delivered by Mrs Aqeela Mubin on 7th of July 2017. The guest speaker dilated upon the significance and application of GIS in different fields. The students showed great interest in the field and enjoyed the lecture. The Principal thanked Ms. Aqeela Mubin for the lecture and presented her the College souvenir. Lawrence College and the young Gallians were privileged to have Dr. Muhammad Amjad Saqib, a social worker of international repute, volunteer, development professional, an inspiring speaker and a prolific writer, with them on 6th of July, 2017 on special invitation of the Principal. The name of Dr. Amjad Saqib is not new to the staff and students of Lawrence College and they take great pleasure in listening to his motivational speech which had mesmerized them even in 2016. Having stood out as a public servant, right when his career was about to move towards higher echelons, he resigned in 2003 with the intent of becoming a social entrepreneur and making a difference in societal change through Akhuwat, which had already been launched in 2001. Dr. Saqib is founder and Executive Director of Akhuwat, first ever interest free microfinance programme. The organization works with the belief that every citizen has the right to live honourably and follows the idea of Muakhat or brotherhood, the model presented by the Holy Prophet (PBUH) in Madina where one Ansari took responsibility of rehabilitation of one Muhajir. This makes Akhuwat a unique microfinance organization – Indeed the first of its kind. The organization has, by now, disbursed an amount of Rs. 44 billion among 200,000 families. “Leadership is a process of inspiring others to achieve common goals,” quoted Dr Amjad Saqib during a heart-touching talk to the students and faculty. Dr. Amjad defined what leadership means and its pre-requisites which make a good leader. He said that every student is a leader; leadership is there in them and the teachers just polish it. The need is that we should identify our goals, develop a vision and then struggle, throughout our lives for actualization of that vision. He also advised them to choose their job according to their aptitude. He told them that their aim in life should be to help and comfort the poor and needy. He stressed upon the need of playing our role in poverty alleviation, as only then one would be successful in this life and the life hereafter. He quoted Muhammad Ali Jinnah saying, “I’m working hard and struggling for my people with the intention that when I appear before Allah, He would say: ‘Well done Muhammad Ali Jinnah’.” He told Gallians that they should also live with the same spirit so that when they appear before Allah, He appreciates them. At the end of his talk, a lively question answer session ensued with many young Gallians asking interesting questions. The Principal thanked Dr. Amjad for sparing time for such a wonderful and inspirational talk that moved the audience. On 5th July 2017 Eid Milan Party was arranged in the Junior School. The Chief Guest of the occasion was the worthy principle Lawrence College. The venue of the event was platform of the Junior School which was decorated esthetically and attractively. All the Junior School students were dressed up in their Eid clothes. All were looking snappy and stylish and the whole environment was so exuberant. Music was also arranged and all the students danced a lot to express their felicity. The Principal was delighted to see the dazzling faces of the young Gallians. He appreciated the efforts made by HMJS and staff in making the event a success. Sumptuous snacks were served to the students and staff as well. Indeed the entire event was highly enjoyable. On 5th July 2017 World’s Environment Day was celebrated in the Junior School. The purpose of this activity was to inculcate awareness about the clean and green environment among the young Gallians.The opportunity provided the chance to the students to observe their surroundings keenly. Headmistress Junior School Mrs. Naheed Nadeem assigned different directions to all the classes along with their teachers in the quest of nature. It was indeed a healthy activity full of fun and jest. The students actively participated in the activity and learnt about lots of new things. The students made their notes about their observations in small diaries which later helped them in their Inter House Creative Writing Competition. Eid-ul-Fitr was celebrated in the College with joy and fervour. In keeping with the tradition set by the Principal on his arrival in 2013, it was an open house at the Principal’s residence. Although, all the students and most faculty members were on Eid leave, yet a large number of admin staff and some faculty members along with their families visited the Principal’s residence. It was heartening that this included many junior staff such as sanitary workers, gardeners, guards, bearers etc. They were greeted by Begum Principal and the Principal himself. The guests were served with many traditional dishes. It provided the staff an opportunity to exchange Eid greetings with the Principal and also with each other. Such invitations of the Principal have always encouraged the staff and have helped in developing a cordial working relationship among all staff members. Gallians Welfare Trust of 1988 has recently contributed a generous amount of Rupees 325,000 to their alma mater for the needy and deserving junior staff of Lawrence College. A committee, headed by Principal, has initially selected six employees and reasonable amount of the donation has been disbursed among them by the Principal. Further scrutiny of deserving employees is in progress and the remaining amount will be disbursed soon. The Principal highly appreciated this act of generosity and positive approach. He further added that such gestures of goodwill would motivate the Gallians to build the society with the same spirit and keep GG alive in their memories. The staff and students of LC convey their sincere thanks to the members of the Trust who have set a very good example for the old Gallians also. First time ever in the history of LCGG a very tranquil Mahfil e Milad was held on 20th June 2017 at the Junior School. The venue of the event was TV room Junior School. It was embellished in a superb way accordingly. Mrs. Humaira Mujahid respectable wife of our honourable Principal was the Chief Guest of the event. The whole environment was quite ethereal. Students and the teachers of the Junior School participated in Milad with full zeal and zest. All the students were dressed up in white shalwar kameez keeping in view the religiousness of the occasion. Sublime Naats were recited by the students and the staff as well. Very comprehensive and worth listening events from the life of the Holy Prophet(PBUH) were read out by the participants. Mothers of all the day scholars were also invited to witness the serene event. Urdu speech competition was held in Junior School on 19th June, 2017. It’s a traditional and regular event of the Junior School. The purpose of this activity is to polish the skill of oratory among the young Gallians. This event enhances the confidence and exposure among the students. The Chief Guest of the occasion was Principal of LCGG. Judges of the event were Mr. Haider Zaman (HOD) Urdu Department from Senior School, Mrs. Zareena Yousaf from Senior School and Mr. Asghar Chaudhary from Prep School. The competition was a success because all the speakers were well prepared. After a very healthy competition Wright House clinched Urdu Debating Shield 2017, Wightwick House remained second and Walker House was declared third. Mohammad Arsham from Wightwick House class four was declared the best Urdu speaker 2017. The Principal congratulated all the participants and shook hands with them. He was happy with the standard of Urdu speeches and appreciated the students and the staff. In a gracefully conducted ceremony, the new Prefectorial Board 2016-17 was sworn in on June 13, 2017. These prefects were selected through minute screening and evaluation of the candidates’ academic records, performance in co-curricular, extra-curricular activities, and sports; followed by personal interviews with the worthy Principal. The investiture ceremony started with recitation from the Holy Quran by Huzaima Asim and translation by Mehran Shahid of Class VIII. After the recitation, the Vice Principal announced the Prefectorial Board 2017-18. The oath of the Headboy was administered by the Vice Principal. It is a matter of great pleasure that, for the first time, we have Headboy from Gilgit-Baltistan. The Headboy administered the oath to the Deputy Headboy and Prefects. In his address, the Principal felicitated the new Prefectorial Board and hoped that not only the new appointment-holders, but the whole Inter Class, being the senior most class, will come up to our full expectations, and will create a healthy and positive environment where everybody could participate in academic and co-curricular activities in a comfortable way. He advised them to set academics and character building as their top priorities, and to take care of the name of the College. He reminded the students that there is zero tolerance for bullying, cheating and abusive language which are absolutely unacceptable in any form. Respect has to be earned and not forced. He told them to recall and repeat their oath periodically to realize their responsibility. Furthermore, the Principal advised the boys to shun any bias or prejudice. He said that it was important that we respect disagreement and difference of opinion. Giving reference of Surah Al-Nahal (Ayah 125), he said that Allah (SWT) asks us to develop discussion with wisdom, patience and in a very civilized manner. The use of ‘the hikmat of knowledge’ and ‘the hikmat of action’ is of great importance in this regard. Winning an argument is not what matters, but it is important that everybody shares his point of view in a decent and civilized manner so that we learn from each other. Therefore, we should always strive to develop a culture with mutual respect as the core value. The Principal made it mandatory for all schools to teach the ethics of disagreements to their students on regular basis, whenever and wherever they have an opportunity. This shall have an overall positive impact on our society. He said that the best guidance for us is Quran and Sunnah. Unfortunately we read them without understanding, so we don’t benefit much. It is advised that we read Quran and Hadith with translation in order to seek maximum guidance from them. In the end, the Principal once again congratulated the Prefectorial Board and the whole Inter Class in their new responsibility. He assured them of his full support and that of the faculty. In order to introduce Gallians to different aspects of the glorious life of our great leader Quaid-e-Azam Muhammad Ali Jinnah and reveal his lifelong struggle, Quaid Gallery has been established in the Senior School Library. The Gallery depicts the life of the founder of Pakistan through a huge collection of rare and wonderful photographs. Since its inception, the Gallery has charmed the students and visitors with its magnificent display. The vision of the Principal is to equip the students of Lawrence College with necessary life skills and knowledge. The establishment of this Gallery is a part of a series of steps taken in this regard, with the purpose to develop patriotism, motivate the students to work selflessly and sacrifice for their motherland, in order to produce accomplished citizens who are ready to serve the nation preferring national interest to their individual interests. The Inter House Spelling Competition was held on 2nd June, 2017 at Junior School. The competition took place in the TV Room and the atmosphere was buzzing. The TV room was packed with students and teachers who were grouped according to their house colors. The Principal was invited as a Chief Guest. All the participants worked incredibly hard to prepare themselves for this spelling challenge. There were 48 contestants who participated in Inter House Spelling Competition. There were total three rounds. The first round was individual round. The second round was team discussion round and in the last round the spellers had to spell the words individually. After a very tough competition, the first position was shared by Wright and Walker House and Wightwick House got the third position. Mrs. Farwa Batool (English teacher Junior School) organized the event with the help of all teaching faculty and House staff. At the end the Principal appreciated all the young students, teachers, administrators and organizers for their great endeavors. Seventeen outstanding students of Class XI and XII were awarded laptops under the Chief Minister’s Laptop Scheme. The ceremony, held on 24th of May, 2017 at Government Viqar-un-Nisa College for Women, was marked by the presence of high achievers from different institutions affiliated with BISE Rawalpindi. The students scoring 90% and above marks received laptops from the Punjab Government. We wish and hope that, in the coming years, the ratio of high achievers will increase to a greater extent and a larger number of students will win such prizes and awards. This is viewed as a significant gesture to transfigure Lawrence College into an even more dynamic organization and to attract new talent to this glorious seat of learning, where a careerist professional finds enough room for self-development and brighter future. The Principal has warmly felicitated the promoted faculty; with the hope that our human-resource will undauntedly meet the challenges ahead of them to make Lawrence College, a residential institution of the highest cadre in the country. Junior School arranged ‘Mini Sports Day’ on 19th May, 2017. On this occasion, the school grounds and surroundings were nicely decorated with banners and balloons. A week of preparation preceded the day. The students enthusiastically took part in various games. Main activities of the event included hurdles’ race, rabbit race, aerobics, karate, PT, balance race, three-legged race, sack race and wheel barrow race. The Principal, in his speech on the occasion, welcomed all the parents and local guests. He highlighted the importance of games and sports in the overall physical development of young boys at the junior level. He said that it was important in order to inculcate a healthy competitive spirit among them. He also emphasized that sports play key role in improving and maintaining health and fitness, improving mental skills, and concentration level. He also appreciated the efforts of the Junior School’s management and staff. The event was concluded with prize giving ceremony. At the end, tea and refreshments were served to guests. I am confident this year will also prove successful in all aspects of academics, co-curricular and sports as we are striving for the highest standards in the best interest of your sons. We are also giving a great deal of importance to character building and personality grooming of the boys. Strict enforcement of discipline and college rules is also being ensured. Parents are requested to keep advising their sons to respect college rules and maintain discipline. We have initiated a lot of improvements which, I am hopeful, will benefit your son in multiple ways. I would like to remind the parents that four years back when I joined Lawrence College as the Principal in June 2013, I noticed a common, but highly undesirable, practice of giving gifts/presents by the parents and the students to the staff to earn their favour. I strongly believe in selflessness and dedicated services solely for the sake of professionalism and repute of the College. The cultivation of relations among some parents and staff on the basis of such gestures of gifts and favours may alter the priorities and damage the elements of self respect and improvement. Since the time of my joining in 2013, I have made it known to everyone, including parents, that any such exchange of gifts and favours is strictly prohibited and would never be acceptable in any case. I have made it absolutely clear to all my staff that they are NOT allowed to demand or accept gifts/presents or favours from any parent or student. In the overall interest of your son and the College, you are requested to cooperate whole heartedly in this regard with College administration, and inform me immediately if any teacher or staff makes any demand from you or your son for any gift, present or favour. Best wishes and regards to you and your family. A group of fifty participants of Young Ulama Leadership Programme 2017, belonging to different reputable religious educational institutions, visited LCGG on May 12, 2017 in the leadership of Maulana Jahangir Mahmood. The purpose of Young Ulama Leadership Programme is to prepare well equipped religious scholars for the future generations, raise the level of empathy in Ulama, make them more sensitive towards social cohesion and to make them the torch-bearers of inter-faith harmony. The participants attended lectures and talks by renowned scholars, educationists, trainers and leading professionals. They also had tours to universities, Government departments and others renowned institutions of Pakistan. The visit to Lawrence College was also a part of their programme. On their arrival, the guests were taken to the Principal’s office where the Principal formally welcomed them to Lawrence College. The Principal gave a comprehensive talk to the participants that included a variety of topics like tolerance, ethics of disagreement, inter-faith harmony and the need of manifesting the real Islamic values to the World. Talking to the guests, at the outset, the Principal briefed them about systems at Lawrence College. He told them that strict enforcement of discipline and College rules is being ensured at Lawrence College, due to which, in the last few years, the standards of Lawrence College have significantly been raised. That progress is clearly visible through improvement in all spheres, from academics to fair examinations and, good grooming in sports and co-curricular activities. Our students have truthfully expressed solidarity with our transparent policies and their parents have also backed us up, to rebuild Lawrence College back to its past glory. He emphasized that religious scholars should realize their responsibility because they are the ones who influence the public opinion. Unfortunately, we have been facing terrorism, extremism, sectarianism and intolerance for many decades. One of the major reasons of this crisis is wrong interpretation of the religion, Islam. Now the religious scholars should present the real spirit of Islam to the public, so that all the misunderstandings, which the world has about Islam, could be cleared and we could introduce Islam, to the world, as a religion of peace. He also advised the young religious scholars that they should remove the word ‘hatred’ from their lives. The guests were served with tea and refreshments. Following the meeting with the Principal, the group took a tour of the College. Later on, during Juma prayers, Maulana Jahangir Mahmood addressed the congregation assembled in the mosque. He explained the ways in which the Holy Prophet (peace be upon him) reformed the society whose moral values were decaying fast. Maulana Jahangir Mahmood laid emphasis on the Holy Prophet’s patience and compassionate behaviour, through which he successfully conveyed his point of view to his opponents in a humble manner. Maulana shared some of his personal experiences as well to highlight the importance of conveying one’s point of view to others in a wise manner. After Juma prayers, the contingent departed from the College. We are grieved at the sad news of the death of a distinguished Old Gallian, Brig. (Retd) Jaffar Khan, Peake House 1949 – 1957. He lost his battle with cancer and passed away on 11th May, 2017. He was affectionately known as Jeff by his friends and colleagues. Brigadier Jaffar distinguished himself at PMA and won the Sword of Honour. He was commissioned in Guides Cavalry and went on to serve meritoriously in Pakistan Army for thirty years. He was appointed as Adjutant and Commandant of the then President’s Bodyguard. He was Chief Instructor at the Command and Staff College Quetta, and was also selected for the RCDS course in the UK. He will always be remembered as a thorough gentleman and an outstanding officer. The Principal, staff and students express their sincerest condolence to the bereaved family and friends of Brigadier Jaffar. May his soul rest in peace. Some of the senior Old Gallians visited the College on 6th May, 2017. They were welcomed by Maj (Retd) Ayyaz Mehmud who accompanied them to the Principal’s office. There, the alumni had a detailed meeting with the Principal regarding supporting the Principal for well being of the students, staff and the institution. After the meeting, they were taken on a tour of the Senior School Library where they visited the newly established Quaid Gallery. The Principal briefed the visitors about the Quaid Gallery that depicts the life of the founder of Pakistan through a huge collection of rare and wonderful pictures. Following the visit of the Quaid Gallery the guests were served lunch at principals residence. Then the Old Gallians visited the Junior School, College Chapel, College Hospital and the Prep School dorms. The guests were served tea in the Prep School Dining Hall before they left the College. A delegation of 12 Chinese teachers and media personnel, accompanied by Mr. Makhdoom Babar, Chairman Pak-China Media Friendship Association, visited Lawrence College on 29th of April, 2017. The visit was sponsored by Pak-China Media Friendship Association and aimed at promotion of Chinese language and Pak-China Friendship. On their arrival, Maj. (Retd) Ayyaz Mahmud welcomed and escorted them to the schools and showed them educational facilities. After a visit of the College, the delegation came to Hamid Hall where Vice Chairman of Pak-China Media Friendship Association and studio incharge of FM 98 Mr. Chen Xiang Shaheen talked to Gallians about China and Pak China relationship. In his clear and fluent Urdu, he told the Gallians, in an interactive session, the secrets of the tremendous progress China has made. He told the Gallians that they, the Chinese people own their land in the true sense and sacrifice their personal interests for the national interest. He also informed the Gallians of the educational opportunities in China. Mr. Shaheen Chen also invited the students to tune FM 98 which is an Urdu channel aimed at promotion of Pak – China friendship. After the lecture, the visitors were served with lunch after which they departed for Islamabad. Acknowledging the importance of psychological bond of a teacher with his students, the Principal Lawrence College invited Dr. Shazia Shehzadi on 27th of April, 2017 for cementing the student-teacher relationship. Dr Shazia is a consultant psychologist and speech pathologist. She holds a masters degree in Applied Psychology and has specialized in Psycho-therapeutic treatment, speech pathology, hypnosis and silver mind control. She has vast experience of working with organizations of national repute. The purpose of inviting a psychologist was not limited to students only, but the vision of the Principal LCGG voyaged beyond that, and teachers were also benefitted from her as regards learning and concentration issues with more challenging students. She also discussed some very helpful techniques for memory enhancement and to reduce stress during examinations and studies. The interaction and guidance from a psychologist was a unique experience for all of us and the things which were taken for granted by us in the past are likely to be handled professionally in future. In order to extend health facilities to the students of Lawrence College, the Principal welcomed the proposal put forward by Brig Ikram-ul-Hassan, an Old Gallian, to get all the students vaccinated against extremely dangerous diseases Hepatitis B and Typhoid. The College was lucky to have it done at 60 to 70% discounted rates offered by Brig Ikram-ul-Hassan, MD of Amson Pharma Pvt Ltd.
Vaccination of all the students of Senior, Prep and Junior School was carried out under the supervision of College RMO in April 2017. In addition to that, as a special gesture of welfare from the Principal, our employees and their families including children have also been vaccinated and their payments made by College out of welfare. In total, 504 students, 360 employees and their families have been vaccinated. The Principal extended his sincere thanks to Old Gallian Brig Ikram-ul-Hassan for his benevolence and immense concern for his alma mater. Art extravaganza, a regional level event was held at Lawrence College on 20th April, 2017. The theme of the Art Extravaganza was ‘Peace on Earth’. The event was organized by the Junior and Prep Schools to create awareness among our students about accepting diversity and to stress the importance of peace and harmony amongst all the people of the world. In Art Extravaganza, nine prominent schools from Rawalpindi, Islamabad, Abbottabad and Murree such as Army Public School, Beaconhouse, St. Dany’s, The Kids’ City, Silver Oaks, The Froebel’s International and Educators were invited to join the cause and participate in a colourful chain of events. All the competitions revolved around environmental themes such as climate change, pollution and planting trees. The Chief Guest of the function was an eminent TV personality, Khawaja Najmul Hassan. The competitions were held from 9 am to 6 pm at three different venues and provided opportunities to all the participants to interact constructively with each other and get engaged in meaningful art activities and compete with each other in essay writing, poster making, bilingual declamation, solo singing, calligraphy, robotics and cultural dances. The prize winners were awarded with prizes and certificates. The Chief Guest Khawaja Najmul Hassan, in his address, appreciated the performance of students. He gave some useful tips to the students and teachers regarding singing and other performances. On April 17th 2017, Junior School students and staff went to PC Burban to attend colorful and striking spring festival. The purpose of spring festival was to promote the culture and heritage of Pakistan. It was indeed an enjoyable activity for everyone. There were diverse stalls and activities. Boys enjoyed delightsome biryani and yummy ice cream in lunch. Islamabad Literature Festival, organized by the Oxford University Press (OUP) has become a marked event for the citizens of Islamabad, Rawalpindi and adjoining areas. The festival hosted avid readers, writers, academics, and literary figures from across Pakistan and the world, at the fourth Islamabad Literature Festival (ILF) held at Hotel Margala, Islamabad, from 14th to 16th of April, 2017. The three days festival was packed with talks, panel discussions, English poetry recitation, book fair, book launches, readings, author signings, performing arts and much more. Twelve students of Senior Cambridge, accompanied by four teachers from Senior and Prep Schools, attended the festival on 15th of April. The group reached there by 4 pm. They attended the first session in Sangam Hall on the topic “ Mohabbat aur Dehshat Gardi: Aaj ka Urdu Adab“. The speakers were the great names of modern Urdu poetry Hameed Shahid, Irfan Urfi and Dr. Ravish Nadeem. After that session, the students moved to Margala hall where Harris Khalique and Asif Farrukhi were in conversation with Iftikhar Arif and talked on Life and poetry of a leading writer under the topic ” Living through Seasons of Fear: Iftikhar Arif “. After this, boys again went to the book stalls and then departed for Lok Virsa Museum where they enjoyed a wonderful exhibition of art and culture of different provinces of Pakistan including Gilgit-Baltistan at the ‘Lok Mela’ which was visited by thousands of people. After spending about one and a half hour there, the students and teachers departed for Lawrence College. The Festival proved to be an exciting experience for the Gallians who enjoyed scholarly debates of prominent modern writers. It will certainly be helpful in broadening their vision and horizons of thinking. On 13th of April, the Principal Lawrence College Brig (Retd) Mujahid Alam, honoured the morning assembly at Prep School. The morning assembly was conducted by students of Grade-VI. He appreciated the different segments of the assembly which comprised recitation, translation, naat, message of the day, question of the day, Gallian Code of Honour and national anthem. He shared that no one has the right to consider others non- believers because Allah knows better. He stressed on doing good deeds instead of calling others wrong and to think positively so that the good relationships may be developed among individuals, groups, nations and countries. Mr Imtiaz Akhtar Ranjha, the Headmaster Prep School, members of faculty, PTIs and matrons were present on the occasion. On 29th March, 2017, Foreign Trainees of School of Military Intelligence visited Lawrence College. The purpose of the visit was to acquaint foreign trainees with important historical places projecting a positive image and expose foreign trainees to the rich cultural heritage of Pakistan. On their arrival, Maj. Ayyaz Mehmood welcomed and escorted them to the schools and showed them educational facilities. They were fascinated by a good hike within the College. They expressed their feelings by stating that it was a treat to watch the infrastructure and working of a historical institute. At the end, they were served with refreshments during which they felt quite at home. 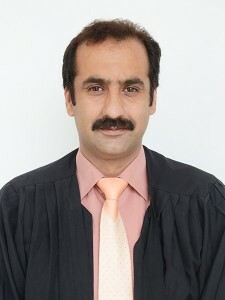 Muhammad Ishaq Khan has been appointed as Deputy Headmaster of the Senior School. 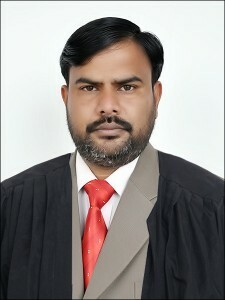 He joined Lawrence College in the year 1995 as lecturer in Biology. He holds MSc. in Biology, M.Phil and MEd. degrees. He is the senior-most teacher at Lawrence College who has served the institution for over 21 years. 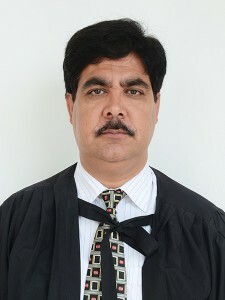 Mr Ishaq Khan has worked in a number of important capacities during his service tenure. He has worked as Head of Biology Department and Head of Sciences. He was appointed Controller of Examinations three years back and is successfully running the Examination Office to the convenience of the faculty and the students. He has also served as housemaster Wightwick House and Peake House for almost ten years. Muhammad Ishaq Khan enjoys teaching his subject and motivates the pre-medical students to take up medicine as a profession and excel as Gallian doctor of the future to further enrich the intelligentsia of the College alumni. We hope that his appointment will provide an impetus to further improvement of College administration and strengthening of system of the College. ‘Earth Hour’ is a worldwide movement initiated by World Wide Fund for Nature (WWF) as a symbol for their commitment to the planet. It is celebrated by switching off all the non-essential lights. It started as a lights-off event in Sydney, Australia in 2007. Since then, it is held every year towards the end of March. This year, this day was celebrated on 25th of March. The Senior School also participated in the Earth Hour to join the world in fight against climate change. The MoDs highlighted the purpose and importance of the Earth Hour concept in the respective dining halls. The students and teachers enthusiastically observed the event by turning off all the unnecessary lights, in the Houses and academic blocks, from 8:30 pm to 9:30 pm. The event is an effort to make us realize how extravagantly we use energy. The event is a way to raise awareness and show us that it is possible to survive without all the electronic advancement and energy consuming products that we have grown so accustomed to. By cutting back, we can make a huge difference and can take part in the battle against global warming. 23rd of March every year is marked for observing as Pakistan Day. This day is observed to pay tribute to those who struggled for an independent state for the Muslims of the Subcontinent. The purpose of celebrating this day is to keep the memories of those great people alive in the minds of the young generation. Pakistan Day was celebrated at Lawrence College with true national spirit. The celebrations started with combined assembly in the Senior School lawn. Students and faculty from the three schools attended the assembly. Principal, accompanied by the heads of the schools, hoisted the national flag. Naa’ra-e-Pakistan was raised by the students and faculty. The assembly ended with du’a by Hafiz Atta-ur-Rehman. The formal function was held in Hamid Hall. Dr. Tahir Hamid Tanoli, a renowned scholar and Director of Iqbal Academy, graced the ceremony as the Chief Guest who visited Lawrence College on special invitation by the Principal. The Head Boy, Ehsanullah Sherani, conducted the function. It started with recitation from the Holy Quran by Nauman Shaukat from Class VIII and translation by Mehran Shahid from Class VIII. Rai Talal Ahmed Bhatti of Class III from Junior School expressed his views about Pakistan Day. It was followed by a milli naghma by Junior and Prep School boys. Luqman Amin of Class VII from Prep School shared his feelings about the Pakistan Movement. After his speech, a presentation with the title ‘Pakistan; The Wonderful’ was shown. After the presentation, Makhdoom Daniyal of Class XI from the Senior School elaborated the efforts of our forefathers in creation of an independent homeland. Followed by this was a wonderful performance by the students from the three schools with the title ‘United We Stand’. It depicted that Pakistan was achieved through unity and we need to be united if we want to make Pakistan great and strong. The Chief Guest, while addressing the audience,, enunciated the universal values enshrined in the poetry of Allama Iqbal. He elaborated the philosophical evolution of the great poet of the East. Dr Tahir exhorted the students to follow the teachings of Allama Muhammad Iqbal, because those were the guarantee of liberation for the Muslims in the past and these eternal values can be assurance of freedom in the present times as well. He quoted the example of Iqbal when he declined to accept the title of ‘Sir’, until his teacher Molvi Mir Hassan was conferred upon the title of ‘Shams-ul-Ulama’. The Principal, in his address on the occasion, thanked the honourable Chief Guest for his wonderful talk and expressed his desire of inviting him again to the College. He stressed upon the need of deriving lessons from the historical Pakistan Movement. On directions of COAS, GHQ arranged “Youth Awareness Programme” for college students from remote areas of FATA, KPK, Balochistan, Sindh and Northern Areas. 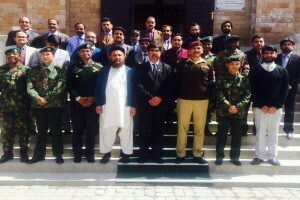 In this context, forty students accompanied by Lt Col Tahir visited LCGG on 15th March, 2017. They were warmly welcomed and accompanied to all three Schools by Maj Ayaz Mahmud. Earlier on, Principal briefed them on the working of the institution and welcomed them in his office. A delegation of thirty five trainees including twenty four foreign students from various countries visited Senior School on 8th March, 2017. They admired the grandeur of this historical institution and acknowledged its enviable repute since its establishment. They played basket ball with the College students and enjoyed a lot. They were served with refreshments after which they departed from the College. “Nothing can be compared with the feelings of watching the gleaming faces of the Junior School boys coming back from their camp site; the stained shirts and the dusty shoes after a game of football; the exuberance of Gallians and Gallian-makers”, said Mrs. Shama Javed, former Headmistress Junior School at her farewell lunch arranged in her honour on 4th of March, 2017. Mrs. Shama Javed joined the Junior School as headmistress in 2009. During her career, she worked with great commitment and brought many novel ideas into practice. She had a creative mind and was always full of energy. Her efforts for the uplift of Junior School are unforgettable. Talking to the gathering, former headmistress recounted that teaching had been a part of her life as long as she could recall and that she had a very rewarding career. She said that she would measure her career at Lawrence College in terms of learning and experiences. The Principal, in his speech, highly appreciated the professional approach and creativity of Mrs. Shama Javed as Headmistress Junior School. He said that we would not be disconnected and would like to benefit from her experiences even after she had left the College. He told that everybody at Lawrence College will remember her and she could come and stay at the College whenever she felt like. The Principal LCGG also wished her enviable health and peace for the rest of her life. Earlier on, the Junior School staff had also organized a farewell lunch in her honour. Everybody there looked gloomy on that day. The Junior School staff and students will never forget the impressions imprinted by their former headmistress. Mrs. Shama Javed was presented with souvenirs by the staff of Junior School and the staff of three schools. Col. Nisar A Khan (Wright House 1958), 15 Punjab Regiment, sadly lost his battle with cancer which he had fought for many years and died on 28th of February, 2017. He was affectionately known as ‘Gabby’ by his friends and colleagues. He was buried in his native village near Kotli Sattiyan the same day. Col. Nisar was a distinguished and active old Gallian who regularly attended different alumni gatherings. The Principal, staff and students express their sincerest condolence to the bereaved family and friends of Col. Nisar A Khan. May the departed soul rest in eternal peace. We are grieved at the news of the death of a distinguished old Gallian Major General (Retd) Muhammad Arshad, Headboy 1957-58 (son of Ch. Abdul Hamid, Former Principal GG). He passed away in Islamabad on 16th of February, 2017. The Principal, staff and Gallians express their sincerest condolence to the family and friends of Major General (Retd) Muhammad Arshad. May the departed soul rest in peace.